The $1.4 billion urban project will be able to accommodate 40,000 residents and visitors, and is expected to be complete in 2041. 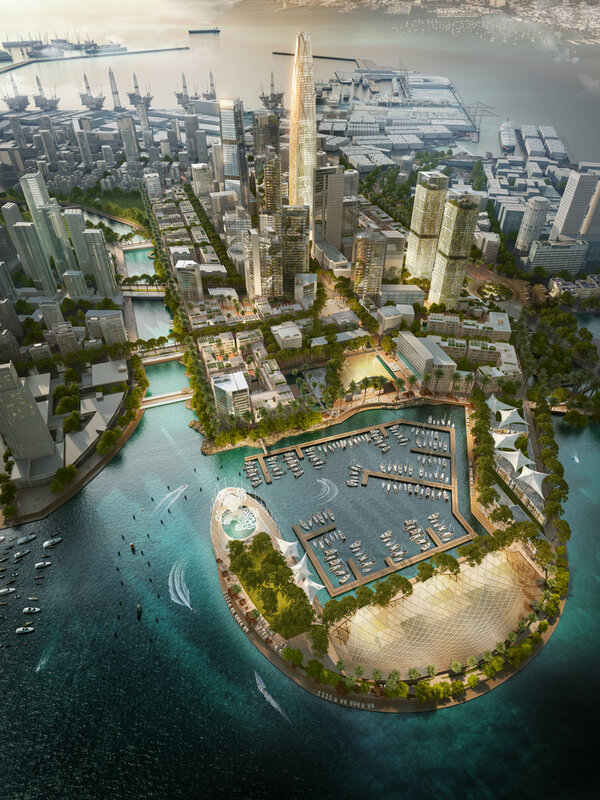 A $1.4 billion project in Colombo is set to be a innovative destination for culture, commerce and tourism. Image credit - SOM. The development was inspired by Sri Lanka’s tropical climate and varied landscape, and will feature a marina, new harbour, canals, walkways, a series of public parks, central plaza, squares, and gardens, as well as creating a new skyline of skyscrapers for Colombo. 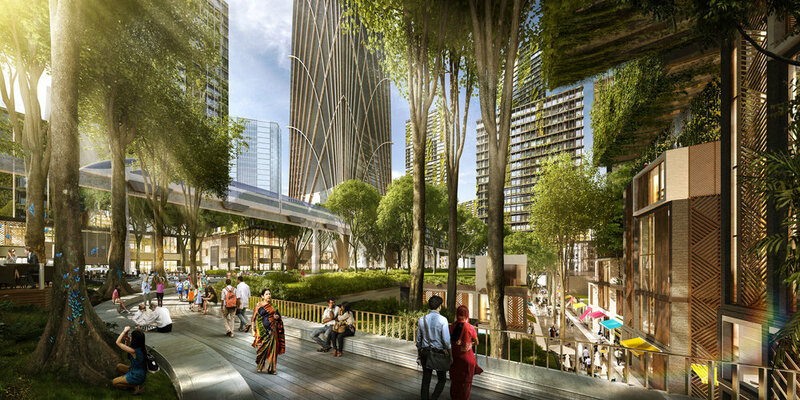 A central civic plaza was inspired by hanging gardens, and will include shaded promenades which circle a new city marina, as well as inlets around a canal which reference the lagoons of Sri Lanka’s coastline. The buildings in the precinct will feature green roofs, and the carparks will be shaded by trees. 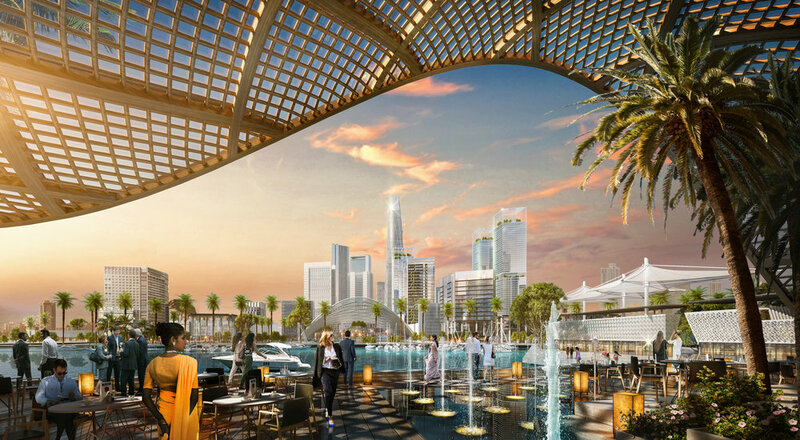 The finance and marina district is set for completion in 2041. Image credit - SOM. Colombo’s new finance and marina district aims to reduce carbon emissions by being pedestrian-friendly, as well as including cycle lanes and public transport. Infrastructure for rainwater harvesting will be incorporated, and the development will be protected from rising sea levels by a three-kilometre-long offshore breakwater. An international jury praised the project’s demonstration of “exceptional sensitivity to the ecological and cultural context of Sri Lanka.” Image credit - SOM. It is hoped that a new cultural venue at the waterfront will encourage people into the area, adding life to the area while preserving Sri Lanka’s natural ecology.